For more than two decades, Grounds Management has been a trusted provider of landscaping services in and around Tupelo, MS. We provide comprehensive grounds care and maintenance to landscapes, regardless of their size or complexity. Our locally-owned and -operated business takes pride in serving the needs of residential and commercial customers throughout the area. A beautiful landscape goes a long way towards improving the curb appeal of a property—not to mention giving property owners a sense of pride in their homestead. Unfortunately, maintaining a beautiful landscape takes a lot of work and requires time you may not have. Instead of breaking your back and toiling away for hours, call Grounds Management to see that your landscape gets the attention it deserves. We’ve provided quality landscape maintenance and lawn care in Tupelo, MS since 1993, for both residential and commercial customers. We stand by our ability to provide each of our clients with quality lawn care services that meet their property’s specific needs. In addition to quality lawn care, we offer irrigation services, landscape planning and outdoor living space design. 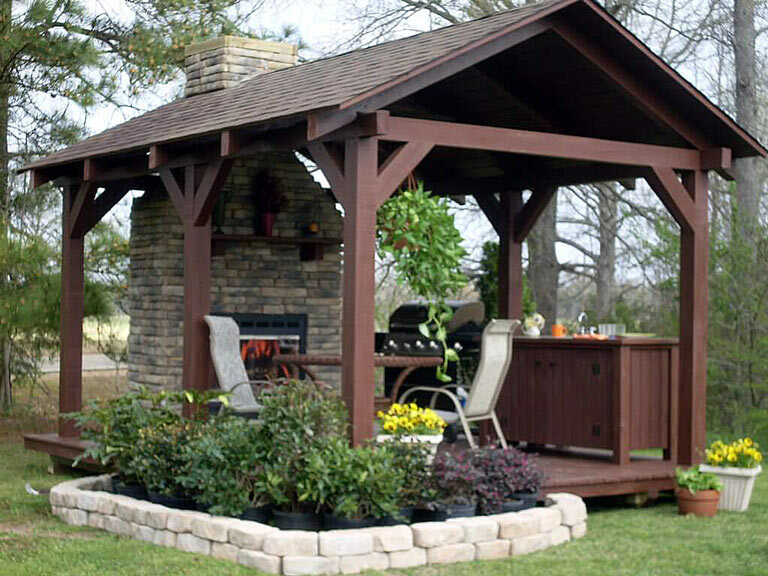 Let us help you customize your patio, lighting, outdoor kitchen, arbors, pergola and more, so you always enjoy your time outside. We approach lawn maintenance in Tupelo, MS with an eye for perfection. Our crews use equipment and supplies from some of the industry’s top brands, including Rain Bird, Hunter and Cliff Rock. We even offer comprehensive emergency landscaping services when necessary! You can depend on our 25 years of industry experience and strong community reputation to know we’re the right team to care for your lawn. Let us help you keep your property in tip-top shape and ensure it’s the envy of everyone in the neighborhood. We are a locally-owned and -operated business. We take pride in helping our local home and business owners maintain their properties. We offer lawn care and range of landscape services, including irrigation, landscaping and outdoor space design. We offer free cost estimates to prospective clients. There are no hidden fees, so you can see upfront exactly what you’re getting for the money. We’re capable of providing emergency landscaping services to those in need and will respond promptly. We’ve got more than 25 years of experience and a strong portfolio of satisfied customers behind us! To begin your lawn care journey, reach out to the qualified experts at Grounds Management today. We’ll make sure your property is getting what it needs to stand out beautifully.